Introducing the newest addition to the Access product line, the Access3 Fanless Mini PC Stick. This fanless mini PC stick with Windows 10 is designed with a LAN port, serving as an impressive successor to the Access Plus, the world’s first mini PC stick with a LAN port. the Access3 is designed small enough to fit in a clutch purse, pocket, or even in your hand. Its practical size helps make the most of your desk space when running office monitors, or easily concealable when watching movies and shows on your TV. With its flexible antenna, it can be quickly stored for travel. The Access3 is not only amazing for its size though..its power is just as impressive! Inside this mini PC stick is a strong Apollo Lake Processor. This built in processor offers faster than ever downloading, streaming, running and launching of applications. 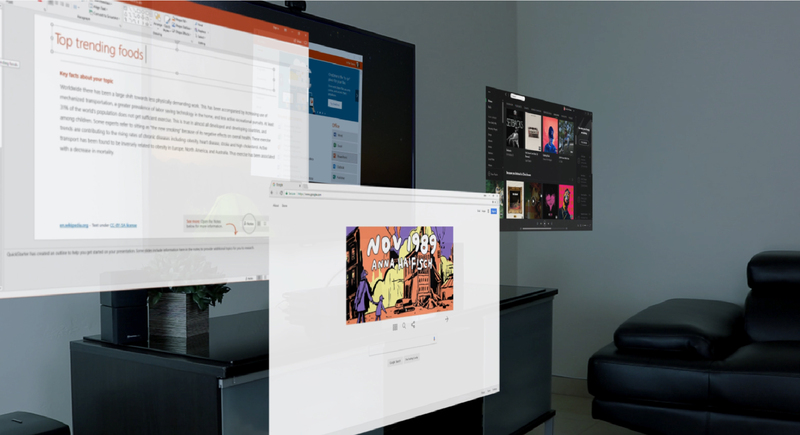 Complete with Windows 10 Pro, the Access3 lets you turn any HDMI screen into your personal computer. Plug the Access3 directly into any projector, kiosk, or TV to gain access to the web and personal documents. This capability is perfect when you need access to your personal computer while out and about! Bring your Access3 to events, meetings, presentations and lectures to display your slideshows, videos, and graphics. At the office? Plug into your monitor to work on Microsoft 365 applications. Create Word documents, Excel sheets, Powerpoints, check e-mails and more. The Access3 PC stick with Windows 10 can do everything you would on your laptop or tower computer – but with the convenience of taking it with you out of the office – without the bulk. 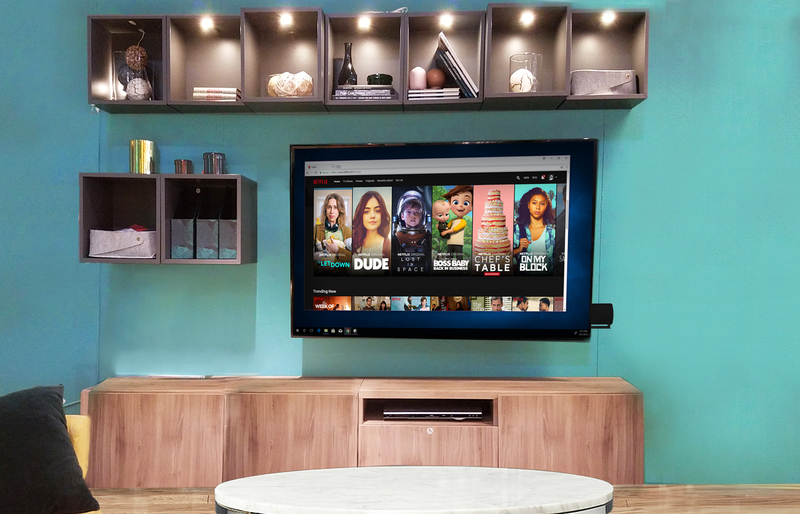 Plug in your Access3 to your home TV to surf the web to enjoy your favorite websites comfortably from your bed or couch. Watch videos on youtube, or download apps like Kodi, Hulu or Netflix to stream movies in high-definition. Enjoy playing desktop games away from your desk! Bring all the online entertainment usually enjoyed from your uncomfortable desk chair to the comfort of your bed and couch. The Access3 provides the customizability needed to enjoy all its perks in your very own style. This mini PC stick with Windows 10 is available with the options of 2GB RAM/ 32GB Storage or 4GB RAM/ 32GB Storage; but includes a Micro SD card slot to let you add extra memory space if needed. This helps make sure you’re able to accomplish and carry all your files. The Access3 also includes two 3.0 ports and is integrated with Bluetooth 2.4. Connect wired or wireless accessories such as a keyboard, mouse, camera, etc. to create a functional workspace or media center with your Access3. On top of all this, the Access3 has both Wi-Fi and Ethernet connectivity options to choose from. Connect to Wi-Fi while on the go or connect to the Ethernet for a stronger and more reliable connection when running heavy program and software. The new Access3 lets you enjoy Windows 10 Pro from more than just your desktop monitor. Carry the Access3 in your pocket to connect to your documents and Internet from anywhere, at any time. Or use the Access3 as an at-home rotation device to turn any of your home TVs into a smart TV at an instant. With all its unique features and abilities, we’re pretty sure you will never want to go back to traditional PCs!